I am so thrilled to support the arts in Nigeria, and specifically some of the most gifted artists there. I am equally thrilled to provide you access to these superb works. You can have confidence that the art you see is truly unique, and will provide distinctive satisfaction to all who experience it. Whether you are collecting, enhancing your office or home décor, or looking for a gift we have a wide selection of masks and statues available. Most of our wall hangings so far have been commission works, and they are truly spectacular. In addition to paying a premium price to the artist, I return 20% of all profits back to support the arts in Nigeria. So we both have the satisfaction that we are promoting living wages in a sustainable business model, while enjoying something truly matchless. As you can see from the gallery these are truly exceptional examples of African art. Each one is made one at a time by an individual artist by hand. In fact, Nigeria requires us to get a museum certificate in order to export each art work out of the country. There are really two models for making a living at carving. First (and most common in Africa) is to make simple things you can make and sell a lot of. Second is, if you have the talent, to take more time and elevate your craft to the level of fine art. You can't make or sell nearly as many as in the first model, but it has its own satisfaction. As there are many examples of the first model available, I chose to pursue the second, and to find the best examples of African art I could find. I hope you will agree that I have had some success. Some people ask what does HEVASOF stand for. It is an acronym that I developed over a decade ago. It comes out of my desire to do good while I make a living. Anything I do has to be a win-win, and leave all parties better than before. In this equation the artist gets a price that allows them to continue to develop their art, and the customer gets something they feel good about on multiple levels - no regrets. For more details check out the FAQ. Please enjoy the web site. It is under constant construction, just like HEVaSOF. I hope you find something you love and will purchase it. We have many lovely african masks, statues, and wall hangings which are used for home decor, office decor, collecting, and even for gifts. So, please look around and enjoy. If you would like something else, even if your not sure what, just let me know and I will do my best to help. We have been able to find some pretty obscure items, so it does not hurt to ask. I am not a designer, but love working with designers. We have lovely works for home decor or office, and love to take commissioned work. Many people have asked why I first went to Nigeria. In 2005 I was asked to help commission a hospital in Ibadan. I was there for much of the year, and on my few days off was naturally drawn to the arts and artists in the region. The more I read and the more I saw, the more fascinated I became. In conversation the idea came up of representing Nigerian artists in America, and marketing their work. At first I did not seriously consider it, but the idea grew on me and, well, here we are. 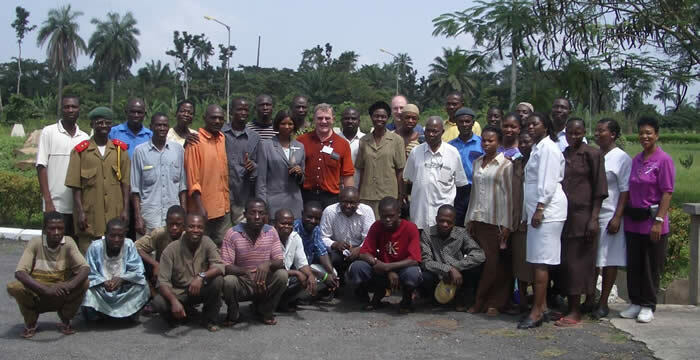 Here is a picture of the staff at Aramed Centre - I will always remember them fondly. 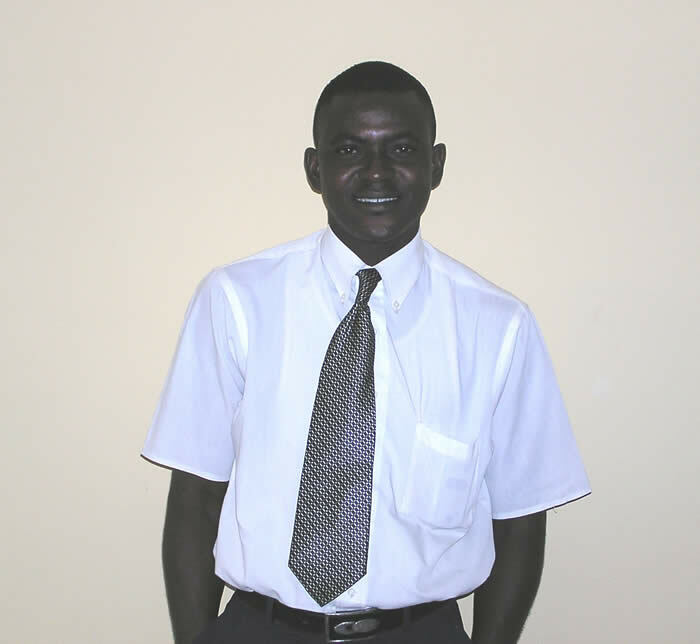 The web site would not be complete without introducing Ojo the manager who makes everything happen in Nigeria . Thanks Ojo for all you do! We import and sell the finest in unique African art, African masks, Plaques, and now Benin bronze. We work directly with the best artists in historic S.W. Nigeria. Suitable for home decor, office, or collectors, we invite you to enjoy these one of a kind hand made fine art works. Home decor.